Written by two authors with unparalleled first-hand experience of Darfur, this is the definitive guide. 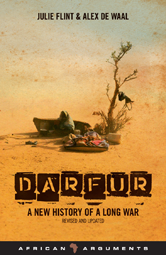 Newly updated and hugely expanded, this edition details Darfur's history in Sudan. It traces the origins, organization and ideology of the infamous Janjawiid and rebel groups, including the Sudan Liberation Army and the Justice and Equality Movement. It also analyses the brutal response of the Sudanese government. The authors investigate the responses by the African Union and the international community, including the halting peace talks and the attempts at peacekeeping. Flint and de Waal provide an authoritative and compelling account of contemporary Africa's most controversial conflict.